Homemade facial fillers are very dangerous and Janet Hardt paid the ultimate price after injecting herself with boiled beef fat. According to ABC News, the 63 year old Hardt from Homewood Illinois wanted to erase a few wrinkles off her face so she boiled some beef fat and injected it into her face. After administering the homemade facial fillers, she experienced severe burning sensations on her face and was rushed to the hospital. This is not the first time that Hardt injected herself with homemade facial fillers and she also had a number of legitimate cosmetic surgeries in the past before she dabbled on homemade cosmetic procedures. Because she had been exposed to several doses of animal protein, Hardt may have developed allergic reactions which caused the severe burning sensation on her face. The unsanitary application of the beef fat may have caused the bacterial infection. Although the Coroner’s report said that Hardt’s death was actually caused by peritonitis or inflammation of the inner walls of the stomach, experts believed that the bacterial infections caused by the homemade facial fillers may have aggravated her condition. Self-injection can have dire consequences so you should think twice before you self-administer any homemade or over the counter facial fillers. If you want to erase a few wrinkles off your face or plump up those lips, go find yourself a good cosmetic surgeon. Legitimate cosmetic procedures performed by qualified plastic surgeons may be a bit costly but these procedures are safe and the results are good. 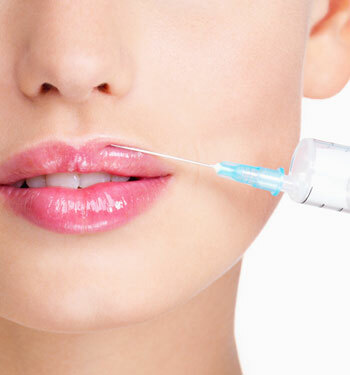 To know more about facial fillers and other cosmetic procedures, call or email us now!